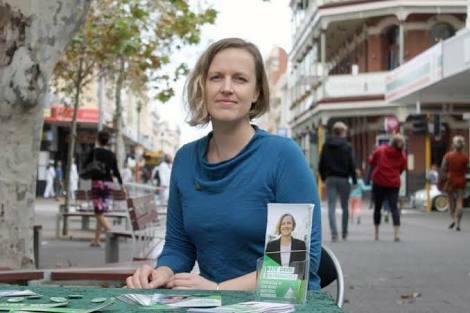 With a consistent vote disparity between the Greens and the major parties over the seat of Fremantle, the possibility of success from Green candidate Kate Davis is questionable. From the young age of 13, Mrs Davis has been a member of the party, her devotion to their ideals reflective in her career path, achievements and her motivation. She has been living in and around the electorate since she was 17, having family connections to the area and “values [which] connect well” she said. Mrs Davis has worked closely in the community legal sector, seeking law reforms through Legal Aid, Women’s Law Centre and her representation of young refugees seeking protection, ultimately founding Tenancy WA in 2013, of which she is the Principal Solicitor. "The people of Fremantle want to have somebody who has strong progressive views, they got that in Melissa, they'll get that with Kate and I don't think they will get that with the Labor candidate,” said Senator Di Natale to the Daily Telegraph. Notre Dame senior lecturer in politics and international relations, professor Martin Drum has supported views of a progressive drive in Fremantle. Which saw Kate do reasonably well in the 2010 election receiving 17.65 per cent of the vote. Even though he sees the candidate as only part of what happens, he expects Mrs Davis “will perform quite well”. Thumbnail image curtesy of ABC. Political commentator Peter Kennedy sees her previous campaigning experience as a way for “her to poll reasonably well,” although how well is debatable. More so due to the Greens recent alliance with the Liberals and the usual 60-80 per cent redistribution of votes from the Greens to Labor. “Fremantle’s electors are also generally progressive and want to see positive change in a variety of policy areas – such as climate change, animal welfare, foreign aid, human rights and global conflict,” said Federal MP Melissa Parke. In an interview with UnipollWatch she acknowledged issues of homelessness in the electorate. “Youth unemployment in areas of the electorate are hotspots for it” she said. Also raising the uncertainty over job security due to cuts to health and education. Refugee issues have also been mentioned. “Refugees need our protection, they don’t deserve to be treated like political footballs,” she said in a video promoting her campaign. In terms of her elections prospects she has said “We have nothing to lose and everything to gain. There is “definitely support for the Greens in Fremantle” however for the Greens to win it will require a change in voters. “It is possible, but [we are] definitely the underdogs” she said.